In a small bowl, combine salt, brown sugar, paprika, chili powder, garlic powder, black pepper and cayenne pepper. Rub mixture over the ribs. 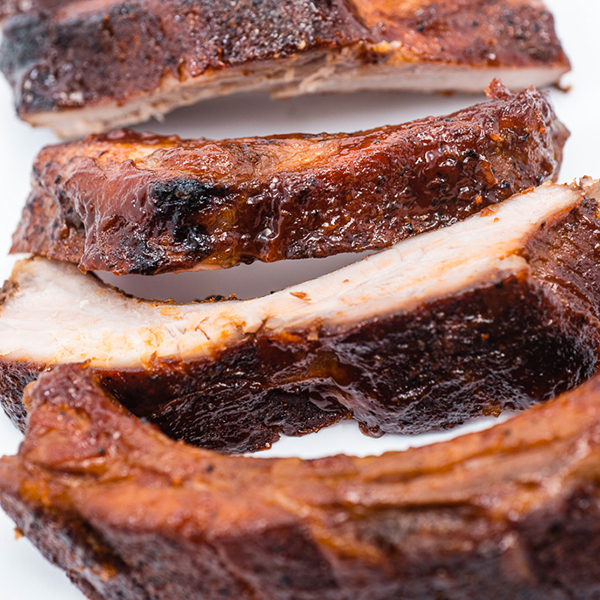 Cut each rack of ribs into 4 pieces and arrange pieces in a slow cooker crock. Pour about 3/4 of the barbecue sauce over the ribs. Cover slow cooker and cook on HIGH for 4 to 4 1/2 hours or LOW for 7 to 8 hours. 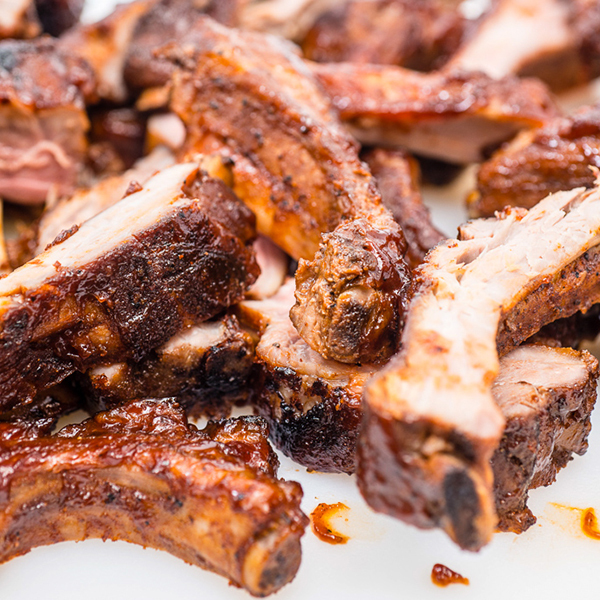 Ribs should be tender, but not falling off the bones. Heat oven to broil. Line two shallow baking pans with aluminum foil. 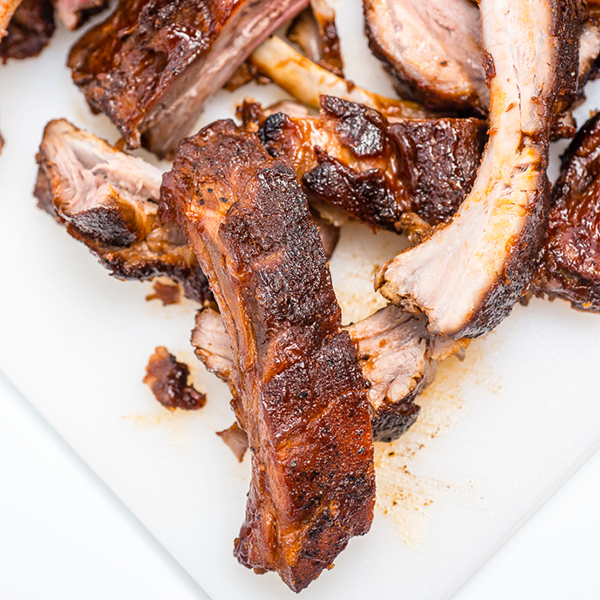 Place ribs on pan. Broil 2 to 3 minutes or until ribs begin to brown. 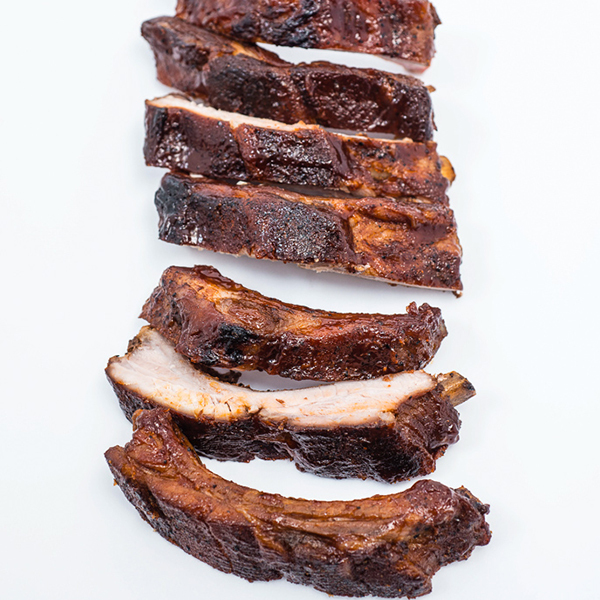 Brush ribs with remaining barbecue sauce.